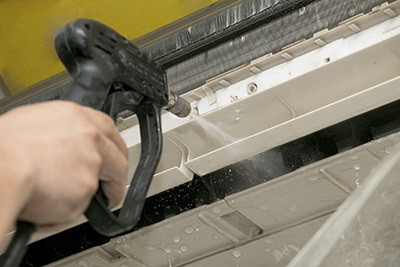 We provide superior quality air duct cleaning services to customers in California. Years of experience in the field have allowed us to deliver customer satisfaction via quick, efficient service, and we have gained plenty of trust from our customers too. A clean HVAC unit is essential if you want to maintain the quality of air inside your home or commercial property. Regular cleaning is the key to a healthy indoor environment. Read more here. We provide expert installation services. We can help remove your current insulation and replace it with more modern and efficient solutions. Have your home better insulated today! Read all about it here. Our Commercial Air Duct Cleaning Playa del Rey company can assure you of good quality and clean indoor air for your business or establishment. Sometimes people tend to neglect the efficiency of their air duct system.